These days, most people prefer garage doors with an automatic opener. Such kinds of openers come with remote control. They are very convenient because you don’t have to get out of the car to open the gate every time you drive in or out. You just have to press the button on the remote control to open or close the garage door. An automatic garage door opener will function only when there is power. If there is a power outage, you would have to disengage the opener and open the door manually. Furthermore, you will have to open the door manually if you need to open it partly, say for any other purposes than driving your car in our out. Whenever you have to operate the garage door manually, you need to set it to the manual mode. When the power is back, you can set it back to the automatic mode. Ensure to test it before leaving. If your garage door doesn’t work properly when you turn the auto mode back on, there might something wrong with the opener. However, do not try to fix it yourself if you are not familiar with it. Call in an expert from a garage door installation Cypress service to have it tested. 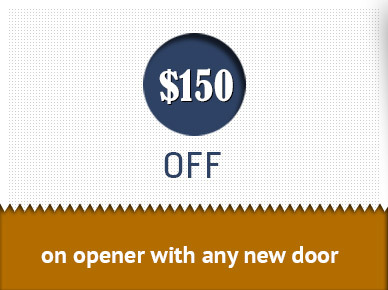 Opening a garage door manually depends on the type of opener you are using. The most common type of opener has corded handle attached to the door. When you pull it, the electric drive of the opener will be disengaged and it will become ready to be operated manually. It is a good idea to be on friendly terms with the best garage door maintenance service in your area, so you can rely on them if anything goes wrong with your garage door opener. Resetting the automatic garage door opener after the disengaging might seem quite confusing.However, you don’t need to be an expert to do that. In order to reset the automatic garage door opener, pull the corded handle in the opposite direction. Be careful when you do it because pulling it in the wrong way will result in the system clicking in the wrong place. So always make sure that it clicks in the right place. After the opener is reset, check if it is working properly if not, seek the assistance of a professional to help you out.